We are all human. Our bodies and brains are very complex and individualized. We do the best we can, but sometimes things are out of our control. You are still you; the only difference is that now you have an increased awareness of how your brain functions. The past few weeks has probably been one of the more difficult times to be a therapist, no matter for whom one voted. The air is thick with intense emotions, and people are visibly deflated or inflated. There has been a palpable shift in the world. As a therapist, I am trained to avoid making a session about me, therefore I share very little about myself, usually only small surface-level bits for anecdotal purposes. Since November 9th, I've found it difficult at times to hold back my reactions, specifically when someone shares with me a hate crime that they've witnessed or had against them. My background in Feminist Therapy allows the therapist to be genuine and authentic; having emotions and showing I too am human and I feel isn't a bad thing or inappropriate. Where people get stuck and have trouble, though, is when their biased opinion comes out. As a therapist, I monitor my opinion constantly within a session - I'm thinking, "What's my purpose in asking her/him this? Is this something I'm curious about or will it allow her/him deeper introspection?" I'm careful to not ask a question that is for my own benefit, it must always be to enhance the client's thoughtfulness. However, sometimes the conversation becomes just that, a conversation between two humans. Lately, the conversations are different than discussing fun video games or new songs, they're grounded in a reality of which many people have become fearful. As a therapist, I do not share my political beliefs. I will, however, engage in a conversation about the political climate with a client accordingly. I focus on emotions and feelings versus opinions. I'm careful to not use political party names or politician's names, but with this election, let's be real: sometimes it's obvious what 'side' I'm on. As an ethical practitioner and a feminist therapist, as a woman, it is my clinical duty and human responsibility to promote the wellbeing of others, to embrace diversity and apparent differences, to empathize with and unconditionally appreciate every human being. 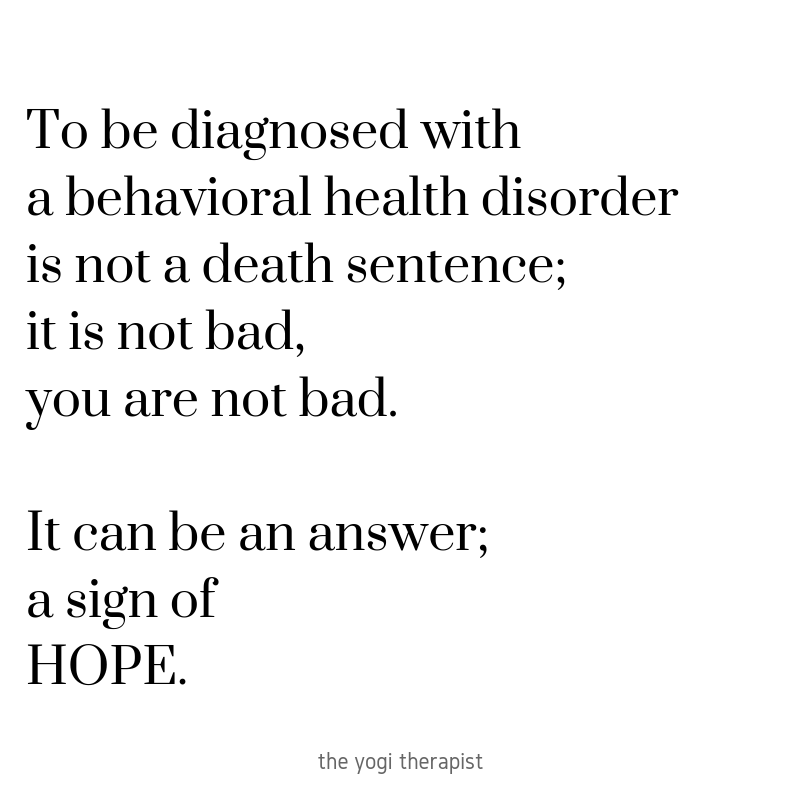 As a therapist, I do not need to have lived through whatever my client has lived through in order to offer support. We don't have to share the same beliefs for me to offer support, for me to empathize with them. People have opinions and beliefs and their perceived reality is just that, their perceived reality. I don't have to understand their [perceived] reality to appreciate them as a fellow human being; I do not have to understand their opinions. The past few weeks have been jarring, shocking, hurtful, confusing, demoralizing, hopeful, eye-opening; I cannot pretend that this has not been a labile mashup of all of the above. I am processing like everyone else. On Wednesday November 9th, I allowed myself space to grieve, to feel, so go inward and close up and feel all the feels. I slept, and when I woke up I felt again a call to action: I will acknowledge my fellow humans, even those who have opposing beliefs; I do not have to agree with you or understand you to still offer you human decency. I respect all human life. I remember that we are all connected. As a therapist, I model ethical behavior and offer different perspectives. I refrain from bringing too much of myself (e.g., my opinions), into the room, but I am very much myself in those 45 minutes. As a therapist, I ensure my office is a safe place for anyone to discuss their feelings openly without fear of being judged. As a therapist, I model acceptance of differences, without condoning hatred or fear or violence or ignorance. I will focus on each day as it comes, not the next four years or the first one-hundred days. ...as a therapist, it's my job.